The Tenth Annual Fantasy Faire in Second Life officially opens today through until Sunday 29th April 2018. The Fantasy Faire is one of the most well known and popular annual events in Second Life. There will be Faire events including the Fairelands Quest, Literary Festival, Memorial Garden and Art Galleries to visit. There will be clothing, avatars, gadgets, exclusive items available from more than 200 of Second Life top Fantasy Creators. There will be DJ parties, auctions, theater performances, 10 shopping regions and roleplaying. All funds from the Fantasy Faire go to support the American Cancer Society’s vision of a world without cancer. Last year the 2017 Fantasy Faire relayed L$ 9,031,915 – ($ 34,738) which is incredible. In the past week SL15B applications have officially opened for Exhibitors, DjS, Live performers, Auditorium and Volunteers to participate. This year Second Life 15th birthday community celebration officially starts at 12pm SLT on Sunday 17th June through until Sunday 24th June 2018. Press Day this year will be on Saturday 16th June 2018 starting at 12pm SLT. It’s going to be a great 15th birthday for the whole Second Life community i’m sure and I can’t wait to be part of it all. I have covered all previous Second Life birthdays since SL6B plus TSL4B & TSL5B. The theme for SL15B is “crystal” which allows “exploration of the tapestry of time that weaves together the past, present and future of Second Life”. 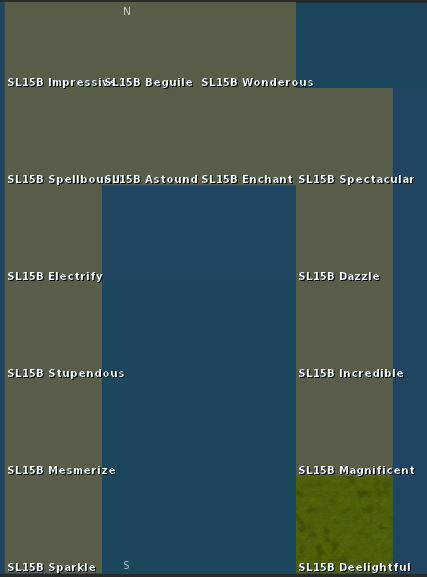 Sunday, June 17, noon SLT: SL15B opens!!! Sunday, June 17 to Sunday, June 24: SL15B open with performances!! Saturday, June 23: Official 15th Birthday!!! Monday, June 25 to Saturday, June 30: Regions will remain open for viewing. No performances. There are 15 regions for SL15B community celebration as far as I know at the moment. The formation of the regions this year is pretty interesting because in previous years it’s been in a block formation together. There will be two town hall chat session events with Ebbe Linden CEO of Linden Lab on Friday 20th April 2018. Ebbe Linden will be sharing his vision for Second Life in 2018 and beyond. Ebbe will be answering questions submitted from the Second Life community. Send your questions in this thread “A Conversation with Linden Lab CEO Ebbe Altberg”. Linden Lab in the coming months will hold more meetups with communities like Bay City, Firestorm, Designing Worlds and more.